Do you think you have a case for an unequal division of family property? Read this first. 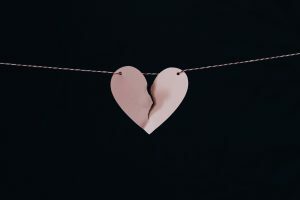 Following a relationship breakdown you might be wondering whether you have a claim for an unequal division of family property. An order for an unequal division of family property or debt occurs when a 50/50 split of the family assets and debts would create unfair circumstances for one of the parties. These types of claims are exceptions and not the rule. The recent decision Wakefield v. Owen, 2018 BCSC 1160 focuses on a situation where in a relatively short relationship the husband claimed an unequal division of family property for two main reasons: the wife did not actually contribute to the family assets nor his business. The court did not accept his arguments and ordered for an equal division of family property. In Wakefield v. Owen, the parties were in a common law relationship for 3.5 years from June 2012 to January 2016. The court determined that they separated on January 1, 2016. Both parties were in their fifties, both owned their own businesses, and had no children together. One of the main issues between the parties was whether the family property should be divided unequally in Mr. Owen’s favour. Wakefield did not contribute to Mr. Owen’s other assets. Wakefield made non-monetary contributions to the family. Please note that apportioning family property and debt requires careful analysis. To discuss whether you may be entitled to an unequal division of family property, give Richter Trial Lawyers a call. Our contact number is 604.264.5550.